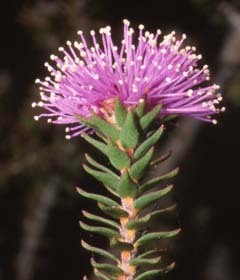 Melaleuca squamea is a very common, medium to large native shrub or small tree with narrow alternate leaves. 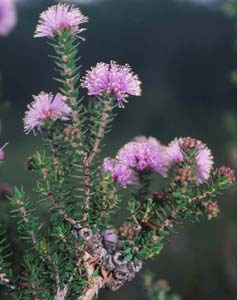 The flowers are usually purplish (but sometimes white or yellowish). It grows in wet areas throughout the island.